Thank you so much, it looks absolutely beautiful and I know our friend will love it. The white string wrap around the flowers just makes it look extra special. Thanks for the photo – it is really nice to see what is being sent as it gives you a bit of peace of mind. I love the colours and I now know they will really be enjoyed. When you need to send flowers, gift baskets, bouquets, plants or an Auckland flower delivery - Best Blooms Florist is a name you can Trust. We are very proud to be an Award-Winning Auckland florists - TOPSHOP Winner. Sending Flowers & Gifts - FREE Delivery! 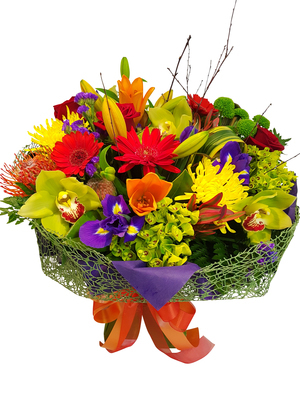 To send flowers today anywhere in Auckland - Business address order by 10.15am, Home address order by 2.15pm. If you are sending flowers to the Hospital order by 2.15pm. 100% Guaranteed. Check out our Reviews. You can Trust us to have beautiful flowers delivered, promptly, as ordered and carrying our personal Rock-Solid Guarantee. Please do check out our customer reviews. You may prefer to place your order by phone on 09 838 9058. 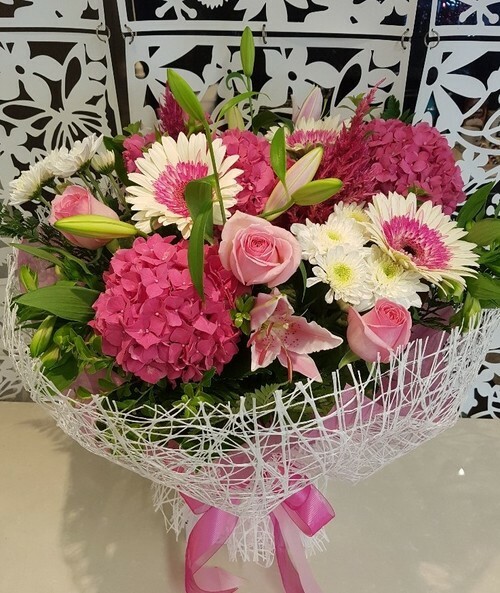 Our range of beautiful gift options include Voxes, Floral Arrangements, Plants, Balloons, Roses, Gift Baskets, and Gifts ready for flower delivery Auckland New Zealand.